Blackberry hasn’t officially confirmed any upcoming successor of last year’s KeyOne, but some reports revealed the names – Blackberry Athena, Luna, and Uni, which are the codenames for this year’s Blackberry smartphones. 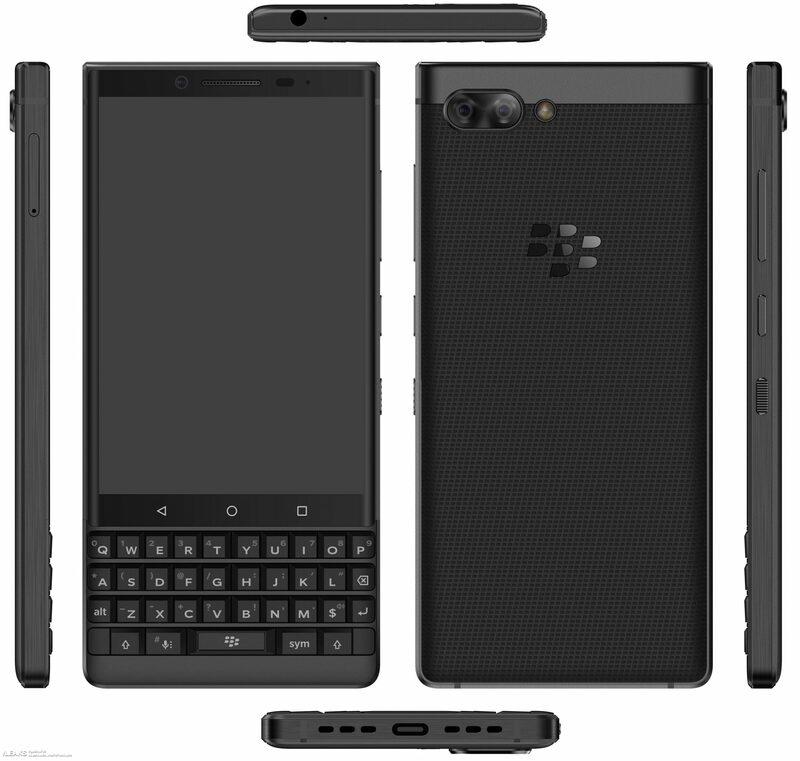 Today, the renders of the Blackberry Athena (probably Blackberry KeyTwo or KeyOne 2) have leaked that show the design from the rear as well as the front. The design of the phone is going to remain almost the same as last year’s KeyOne with some significant differences. One of the first things that you are going to notice after seeing the renders is that dual camera setup on the rear. It is the first time we have a dual camera setup on any Blackberry smartphone. The iconic QWERTY keypad is still there and seems like Blackberry doesn’t want to move away from a design element that gave its phones a unique identity. An absence of the fingerprint reader on the side or the rear means that it is still under the space bar. The display is not that big, due to the existence of a QWERTY keypad below it. The overall build is similar to last year’s KeyOne with a rear panel having the same textured finish as the KeyOne. The frame is metal that goes all around the phone. There is an extra button on the side, between the volume rockers and the textured powered button. There is no information if this is for a dedicated AI assistant or any other thing. As previously reported by Crackberry, the Blackberry KeyTwo (ATHENA) is powered by the Snapdragon 660 processor and has 6/8GB RAM along with 64GB ROM. The launch is expected to happen this month. Nothing else is known about the phone yet so stay tuned for more details.